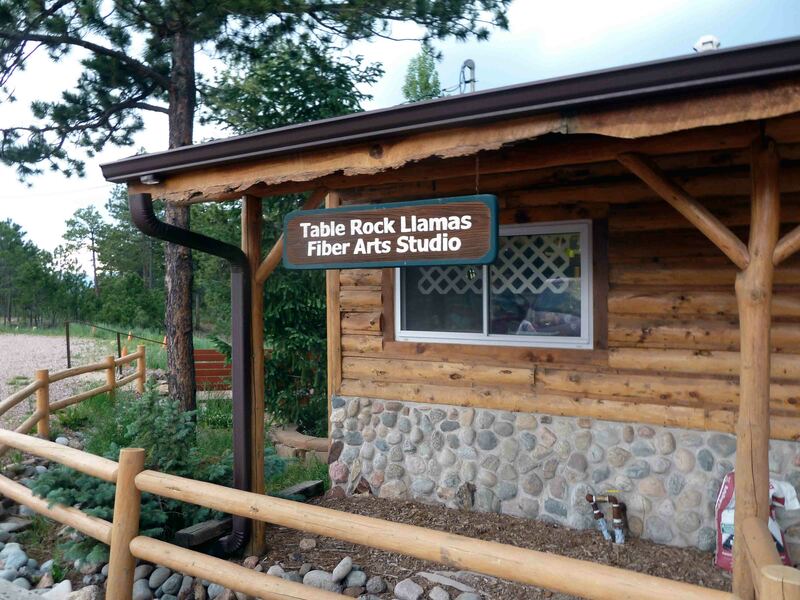 Along the rural, wooded route of Shoup Road, nestled in amongst the pine trees of Black Forest, Colorado is Table Rock Llamas Fiber Arts Studio, a lovely log cabin of yarn. I think I saw a gingerbread house nearby, but I can’t be sure. Shopping yarn appeals more than gingerbread and didn’t involve a fight to the death with a witch. At least not this time. Could this setting be more awesome? The shop, is open Tuesday-Friday 10 -5, Saturday 10-4 and consists of a front multiroom building chock full of yarny goodness, and a back building where the classroom spinning, dying and other teaching magic happens. Coincidentally, or maybe not so coincidentally, this is where Julie from Tompkins Alpaca Pride learned to spin. 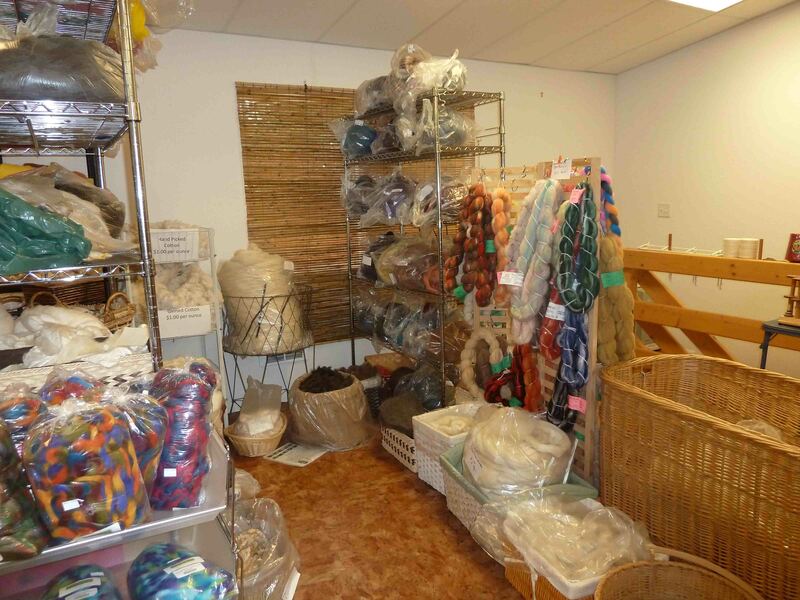 This outbuilding also houses roving and other spinning materials, lovely spinning wheels, classroom space and sale yarn. Table Rock was recommended by Julie and another yarn shop, so you know it’s gotta be good. Ladies, start your spinning wheels. Of all their lovely yarn offerings I opted for some local hand-dyed sock yarn from a multitalented husband wife team. The yarn looks like a rainbow puked on it, which means I LOVE it! An interesting thing I learned there – you can buy silk worm cocoons to either turn into yarn or use as decorative elements in your fiber creation. You can hear the dead silk worm rattling around in there, which kind of weirds me out. If anyone out there ever thought giving me a silk worm cocoon was a good idea, let me politely decline the offer now. The staff is super friendly and knowledgeable. Stop in a check it out. Black Forest is located about 30-minutes from Colorado Springs. Do you have any Colorado Springs area yarn shop suggestions? So,,, silk worms, huh? Would you unwind it and add it to your yarn? Actually, the librarian at Desert View Middle School used to order live silk worms in their cocoon and would keep them in a jar on her desk for the kids to watch and see them hatch out. I don’t know what she did with the cocoons. I guess if they hatched, the silk is no good? What a yummy shop! I love the yarn! Just the kind I like to use!